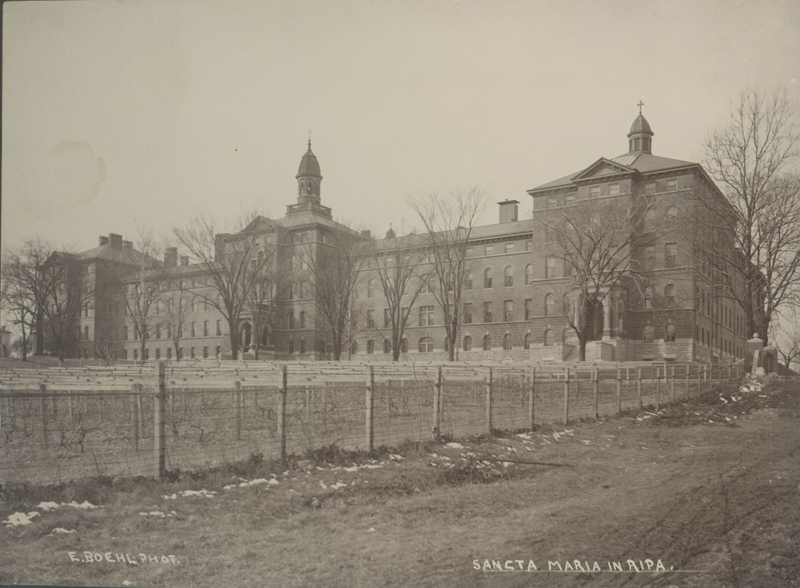 In 1894, the sisters purchased a 21-acre site near the Mississippi River, which they named Sancta Maria in Ripa (St. Mary on the Bank). 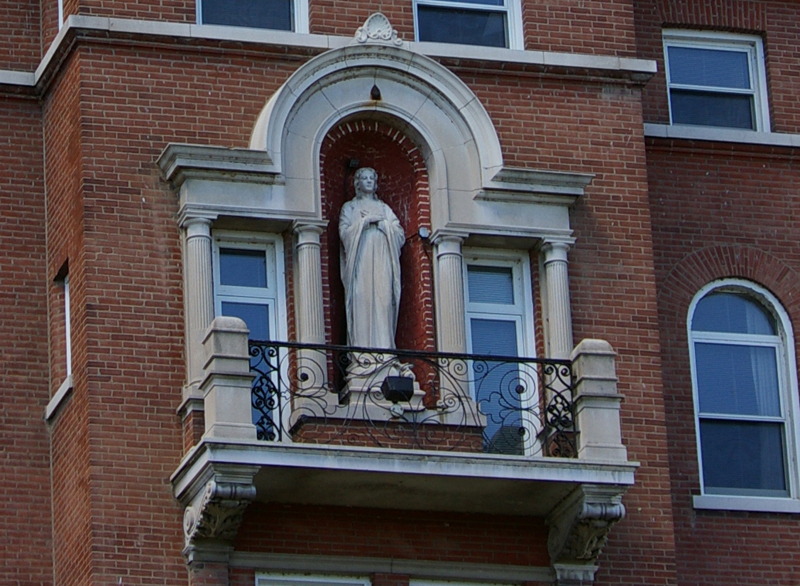 The property included a ten-room mansion, called the “White House.” The house served as the convent for the sisters while the motherhouse was under construction. Additional historical information can be found in the Heritage Room, which offers details and artifacts from the sisters’ history in St. Louis, including items showing how sisters’ lives have changed over time. The following are excerpts from an unpublished manuscript called “Stories of the Early Days at Ripa,” written by Sister Anisia Breiner. Sister Anisia was one of the seven pioneers who came to live in the “White House,” on March 15, 1895. Her account provides rich detail about the early life in Ripa and the construction of the motherhouse.